Description: Visit http://www.coin-op.tv for more video game interviews and reviews! 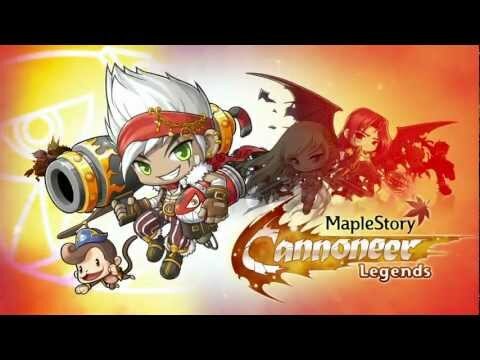 The first phase of "MapleStory's" earth-shattering Legends update is upon us as the Cannoneer joins the ranks of Maple World's elite on Dec. 7. The Canonneer is the first of three new classes to join Nexon America's side-scrolling powerhouse MMORPG. A young beginner with dreams of becoming an Explorer will now set a course for Maple Island. After being attacked by a Balrog and swept away to the tropical Coco Island, a new region near the Nautilus, this young pirate and his sidekick monkey adapt a ship's weapon into a one-of-a-kind Hand Cannon to battle against evil. As his name suggests, the Cannoneer specializes in long-range attacks. His powerful Cannon Bazooka attack overloads his cannon and fires a blast that attacks multiple enemies at once. Armed with his monkey sidekick, the Cannoneer's Monkey Madness attack detonates a cluster of special bombs simultaneously to attack and stun several monsters at once. Lastly, with his Nautilus Strike attack, the Cannoneer can command the submarine Nautilus to bombard every monster on the map. When released earlier this year in Korea, the Legends update shattered the maximum concurrent player record for all online games in Korea when 626,852 players played at the same time. For more information on the Legends update, please visit the MapleStory website at http://maplestory.nexon.net.